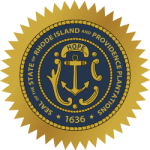 Rhode Island, officially named as the State of Rhode Island and Providence Plantations, is second smallest state of US nation. At the same time, it registers as second most populated state of US nation as well. The Ocean State was the 13th State to be admitted in US union on 29th May, 1790. Little Rhody also marked its presence in American history during the American Revolution. Economy of state is mostly biased on fishing, farming, jewelry making and tool making industries. Health care organizations are one of the largest recruiters and top employers in state with much contribution coming from Lifespan Hospital Group and Care New England Organization. What is Rhode Island Board of Nurse Registration & Nursing Education and which are its associated boards? Rhode Island Board of Nurse Registration and Nursing Education is the authoritative board, which regulates safe nursing practice and licensure to work in the Ocean State. Board of Nursing in Rhode Island is associated with many other nursing associations to improve and standardize the health services in Rhode Island. The present status of healthcare system is not very enthusiastic and prolific steps are required to procure higher standards of service. Rhode Island Board of Nurse Registration and Nursing Education is an active member of both NCSBN and Nurse Licensure Compact Group. The Board Members are elected by State Senates and look over the proper functioning of board and various nursing programs in State. RI general laws and RI ADC have various sections and annexations related to nursing education and policies. R.I. Gen. Laws Ann. § 5-34 and RI ADC 31-5-28 state various amendments made in nursing laws and exemptions which are given to Rhode Island Board of Nursing.